Qobuz Sublime review | What Hi-Fi? Named after an ancient Asian two-stringed viola, the French streaming-come-download service Qobuz has had a difficult time of late. Although it has been around since 2007, it only left its home borders in 2013 – becoming the first CD-quality streaming service to hit the UK (before Tidal started making waves). However, tough competition saw Qobuz slipping into receivership towards the end of 2015, before it was saved by French entertainment company Xandrie. It now hopes to keep Qobuz alive and kicking by pooling its own established digital resources to expand and improve the service. 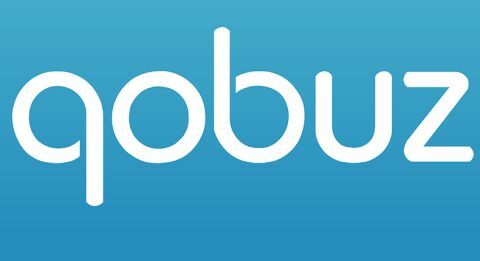 Qobuz’s download store sits next to its streaming one on Qobuz.com, which offers two streaming-only subscriptions – £9.99/month for unlimited MP3 streaming and £19.99/month for a leg up in quality to CD-quality FLAC. And there’s now a hybrid streaming and download tier called Sublime, which is what we are testing here. Essentially, it’s the pricier of the streaming tiers with an added download initiative: subscribers get ‘30-60 per cent off’ the price of hi-res album downloads from ‘most’ of the company’s catalogue, which currently consists of 40,000 hi-res albums ranging from 24-bit/44.1kHz to 24-bit/192kHz. Any purchased albums can then be streamed in hi-res too. It costs £220 per year, which works out at just over £18/month – cheaper on an annual basis than the streaming-only option. Paying upfront is a big commitment, but we think those that can afford the outlay will be rewarded. Most ‘New Releases’ – covering a mix of genres – have the option of the discounted download for Sublime subscribers, and are marked ‘Hi-Res with Qobuz Sublime’. Of the first 48 on the homepage’s carousel, 30 were discounted; Jack Garratt’s Phase to £8.87 from the regular £15.56 price. Willie Nelson’s To All The Girls is £8.89 instead of £13.39, and Raleigh Ritchie’s You’re A Man Now, Boy has a saving of over £5. At the time of writing, Ray LaMontagne’s Ouroboros album is just days old and has a Sublime reduction of roughly a third. It’s like having staff discount, and if you’re an avid downloader bargains are there to be had. Just note that not everything falls under the reduced subscription – on a random search we saw that hi-res albums from Pink Floyd and Simple Plan aren’t, those from Elton John and Sufjan Stevens are – but at least it’s something you can have a look at before you commit. Sublime aside, pricing is competitive, with new albums often £2-3 cheaper than on rival services Technics Tracks and OnkyoMusic. As well as looking to add a Family Subscription (any details have been hushed so far) and make changes to the interface, Qobuz has announced future plans for improving the site’s search algorithms, playlist and recommendation tools, and social and sharing functions. Qobuz is already ahead of the game in music discovery and front-end intuitiveness – and that starts with the homepage. Busy but not off-puttingly so, it’s easy to navigate and the most comprehensive we’ve come across. Genres straddle the top, below is new releases by genre, followed by new releases only in 24-bit, which can be sorted by sample rate. Keeping the service close to home means Qobuz is still Francophile when it comes to content – something we were put off by when testing the streaming service in the face of Anglo-centric rivals – and this rears its head here sometimes too. At the bottom of the homepage, the Qobuz chart showing the ‘top tens’ for streaming and download mostly includes French artists. If Qobuz did a video service, it would be like seeing La Haine above The Godfather in the crime drama section. That said, it’s less of an issue within specific genre pages where Michael Jackson, Adele and Amy Winehouse populate the Soul/Funk/R&B charts, and David Bowie, The Beatles, Ray LaMontagne and Phil Collins the Pop & Rock top ten. The same goes for the Qobuz app, which is just as clean and orderly as the desktop site – just a simplified version with fewer editorials. It’s predominantly a French assault upon first open, but becomes less so when you start being more genre-specific. There’s a strong focus on hi-res, both through search result ordering and filtering. Only interested in hi-res downloads? There's a separate ’24-bit High-Res’ store, where you can select by sampling rate – you can see most albums are in 44.1kHz and 96kHz (there’s multichannel as well as stereo available too) – and genre: classical and pop/rock dominate the catalogue with more than 10,000 and fewer than 9000 albums respectively, while rap and ambience/new age music is stocked in the fewest numbers. Recommendations extend to best sellers in 24-bit, pre-orders by release date and a nicely curated ‘The Ideal Qobuz Collection’, while prolific filter options make shopping a breeze, too. Go to an artist’s page and underneath a nice mini bio and similar artists recommendations are album discographies, which you can filter by file size for example, and sort by, say, price or release date. Where available, you can download tracks separately within albums, although we miss not having a top tracks section like on rival sites Technics Tracks and OnkyoMusic. That prioritisation of albums over individual tracks is made clearer in the search bar function. Related artists, albums and labels come up automatically as you start typing, but not songs. We type ‘Human Nature’ for Michael Jackson’s 1983 hit and the suggestions show the Human Nature band and Miles Davis’ Human Nature (Live) album. We were given the option of downloading our purchased 24-bit/88.2kHz Animal Collective’s Painting With album in WAV, FLAC, ALAC, AIFF – as well as in CD-quality and lower res formats like MP3, which you can do later on. We downloaded David Bowie’s Lazarus in 16-bit/44.1kHz a day after downloading it in hi-res, no questions asked. As for the sound, there’s plenty going for it. While not quite as bold or upfront as Technics Tracks or OnkyoMusic, there’s not much in it. Ray LaMontagne’s Part One – The Changing Man (in 24bit/96kHz) is an insightful listen: spacious, detailed and driven with admirable weight behind, and dynamic attention to, electrics. It clings onto the breathy texture in his scarce, distant vocal, and drums kick hard behind the tumultuous climax. Greater focus on individual songs via a top tracks concept and a few more tweaks to the search bar would be our suggestions, and we’d prefer a more diluted French focus. But all in all, Qobuz is magnifique! It’s lovely to use, has a mixed catalogue and is competitively priced. If you’re an avid streamer and have the means to pay upfront, the Sublime subscription is a great way to save a few euros too.